Project Description: The project provided a library of 28 maps that depict expected area and depth of flooding, for approximately 25 miles of the Susquehanna River, at 1’ increments from stage 11.0’ through stage 37.0’ as measured at the Susquehanna River at Harrisburg streamgage (USGS Gage No. 01570500) located on City Island in Harrisburg, Pennsylvania. Also generated and included in the library is a map which corresponds to inundation realized during Tropical Storm Agnes (flood of record) for stage 33.27’. The entire length of the study reach includes approximately 7000 parcels with potential flood risk. The completed libraries are available online through both the National Weather Service Advanced Hydrologic Prediction Service web page and the United States Geological Survey Flood Inundation Map Viewer. 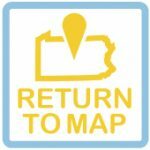 Also included in the project was an outreach effort that distributed tri-fold pamphlets, with refrigerator magnets attached, to impacted parcel owners, providing instructions on how to use the inundation maps for planning and where to obtain the maps. Issues Encountered: Every stage inundation map project is unique and requires a multi-discipline approach to bring a successful product of value to fruition. Providing inundation maps for approximately 25 miles of the Susquehanna River required an extensive effort to validate the hydraulic model outputs and ensure a quality map product was delivered. Existing within the study reach were many small bridges on backwater affected tributaries and 9 bridges of varying design and structure that span the nearly mile wide river corridor. Each structure required field survey to insure accurate representation within the hydraulic model. 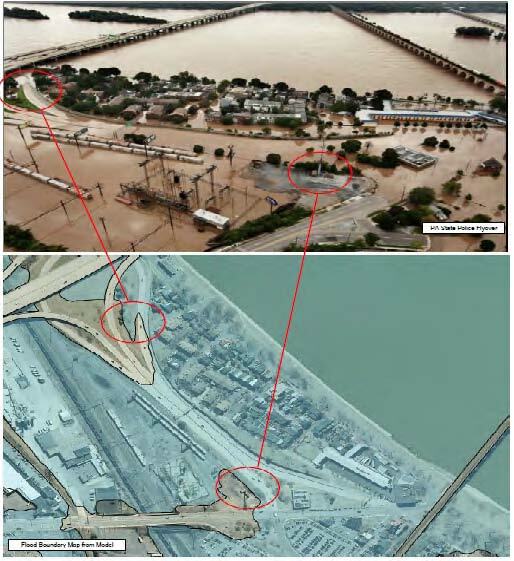 The project benefited from an actual flood in September 2011, at the beginning of the effort, affording an opportunity to acquire calibration data for the hydraulic model which proved to be critical to validating the model and allowing for accurate representation of expected area of flooding. In addition to many structures within the study reach, the study reach includes 20 different municipalities and more than 7000 parcels that lie within the highest stage mapped. Coordination across various municipal interest was critical to gaining acceptance and understanding of the map product at the municipal level of government, as well as providing access to community based data sets. Continued outreach regarding the availability of the inundation map product to all of the interested parties within the study reach will be required to insure the product is successfully used to protect life and property during flood events. Online map viewers present a challenge to end users of the inundation map product in that necessary information being disseminated may be difficult to interpret or not directly accessible to the general public. In developing online platforms for dissemination of map products the needs of the end user must be considered and every attempt made to streamline dissemination of critical information, most specifically “At what stage does my property flood?” This project included direct outreach to over 7000 parcel owners which provided specific instructions to access the online information. While the outreach effort did drive traffic to the identified viewers it remains difficult to assess the effectiveness of the campaign. 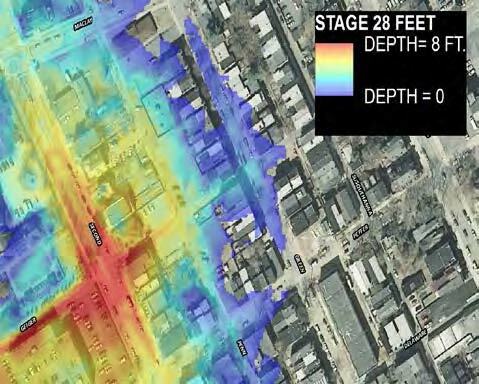 Stage based inundation maps are commonly confused with FEMA flood map products and can be a source of confusion among impacted Communities and their residents. The stage based inundation maps provided here are non-regulatory and communicate risk based on stage at a local stream gage allowing for actionable response to any particular event in advance of, during, or after an event. FEMA flood maps direct insurance requirements and present flood risk on a frequency basis, which is difficult to relate to any particular forecast flood event. Funding Stream(s): Primarily funded as a USACE Silver Jackets pilot project, the project also leveraged funding from many of the project partners including the Harrisburg Authority, United States Geological Survey, Susquehanna River Basin Commission, and National Weather Service.